Our Full Grain Leather is manufactured naturally leaving all scars and blemishes of the natural leather and is considered part of the character and beauty of the finished product. 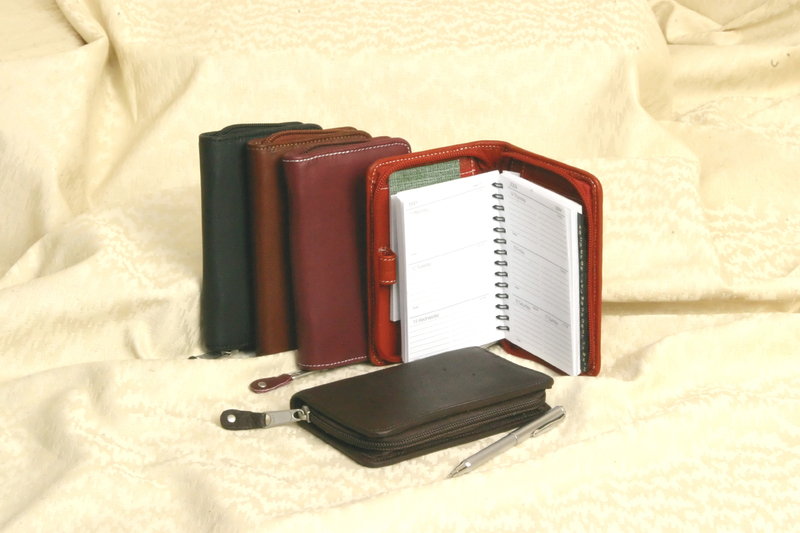 This premium Leather Day Planner is available in 5 color choices. A zip around closure for security and a pen are included. For additional organization we have added a planning diary with a daily calendar and address book, a paper pad and several pockets for ID's, Credit Cards and Business Cards. A Great Promotion for Executive Retreats and Meetings.